Julia Friedman is a Russian-born art historian, writer and curator. She received her Ph.D. in Art History from Brown University in 2005, and has since researched and taught in the US, UK and Japan. 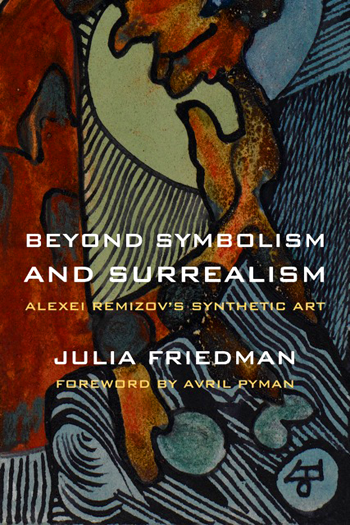 Her trans-disciplinary work on European Modernism, Russian emigration and book art resulted in the illustrated monograph Beyond Symbolism and Surrealism: Alexei Remizov’s Synthetic Art published by Northwestern University Press in January 2011. She has been a regular contributor to Artforum, and has a blog column in The Huffington Post. In 2017 she began writing for The New Criterion magazine. Her most recent publications are Dustbunnies and Wasted Words. These two pendant volumes based on the digital writings of Dave Hickey, a distinguished American art and cultural critic and the author of The Invisible Dragon: Four Essays on Beauty (1993), Air Guitar: Essays on Art and Democracy (1997), and Pirates and Farmers (2014), and 25 Women: Essays on Their Art (University of Chicago Press, 2016). She is currently writing a monograph about Wally Hedrick (1928–2003).